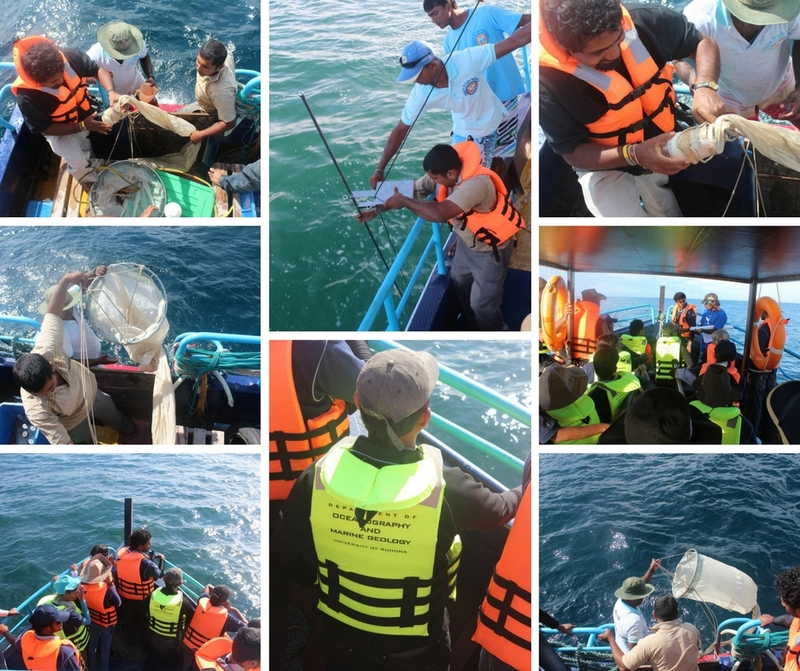 Since 2012, Raja & the Whales is working close with the “Faculty of Fisheries and Marine Sciences & Technology” of the University of Ruhuna in Sri Lanka. We regularily take the students for field trips, where they can learn about the marine wildlife of the Indian Ocean. During these trips they collect various samples (p.e. plancton) for research purposes, take pictures for their database and identification exercises and do hydrophone recordings. Furthermore, Raja & the Whales’ crew members regularily participate in workshops and other events hosted by the University of Ruhuna.